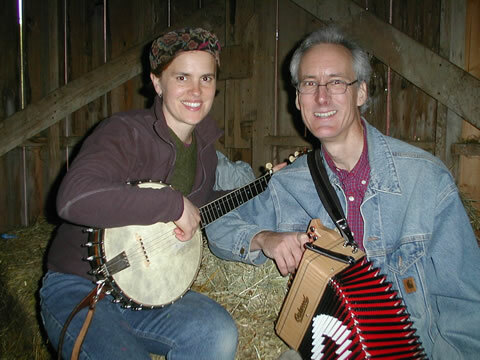 Julie and Bob offer family-friendly programs of traditional folk music and dance. Drawing on work song, ballad, gospel and percussive dance traditions their concerts include a cappella vocal pieces, banjo, guitar, concertina, button accordion and body percussion accompaniment ranging from Appalachian clogging to "Hambone". Lots of audience participation, Bob and Julie's musical proficiency, their knowledge of the repertoire and the genuine love of performing traditional music make a warm and appealing show.